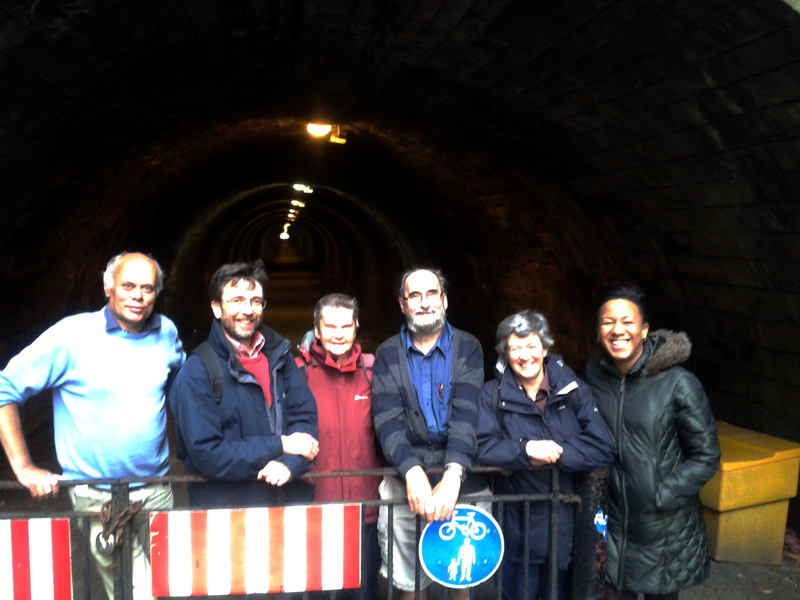 On the Monday evening, 18th August, members of Eco Congregations in Edinburgh joined Environmental Chaplain, Trevor Jamison, to walk along the Innocent Railway path, a part of the recently established John Muir Way. Muir (1838-1914), who was born in Dunbar but moved with his family to the USA when he was eleven years old, carved out a position as America’s foremost writer, commentator and campaigner on environmental issues. He was consulted by many, including President Theodore Roosevelt; was instrumental in the establishment of a number of National Parks, including Yosemite; and was involved in setting up the Sierra Club, a continuing environmental pressure group. Scotland’s John Muir Way, which was opened in April this year, stretches one hundred and thirty-five miles, from Helensburgh in the West to Dunbar in the East. Back in June Trevor walked the whole route to celebrate Muir’s life and work; now he was taking the opportunity to share some of his experiences and insights with the Edinburgh group. Along the way there were moments to pause, to listen to excerpts from scripture and from the writings of John Muir; to learn about his (strict) religious upbringing and to ponder how this contributed to the language and imagery in his writings on nature. How do churches find a vocabulary about creation which will connect with a wider public in the way that Muir managed in his time? Following his example, how can we encourage those who love nature also to take action to protect it? The next meeting of the Edinburgh Network is October 1st , 7.30pm at St Cuthbert’s Parish Church, 5 Lothian Road, Edinburgh EH1 2EP, when Adrian Shaw will lead a talk and discussion on the “Fracking” issue.